We started pretty early today, 8 am. 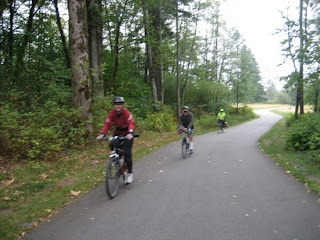 We had a nice small group: we started from Memorial Peace Park with Dave, Geoff, Tracey and myself, and Diane joined us at the Golden Ears Bridge. It was a cloudy day, and somewhat on the cool side. A perfect day for a ride. 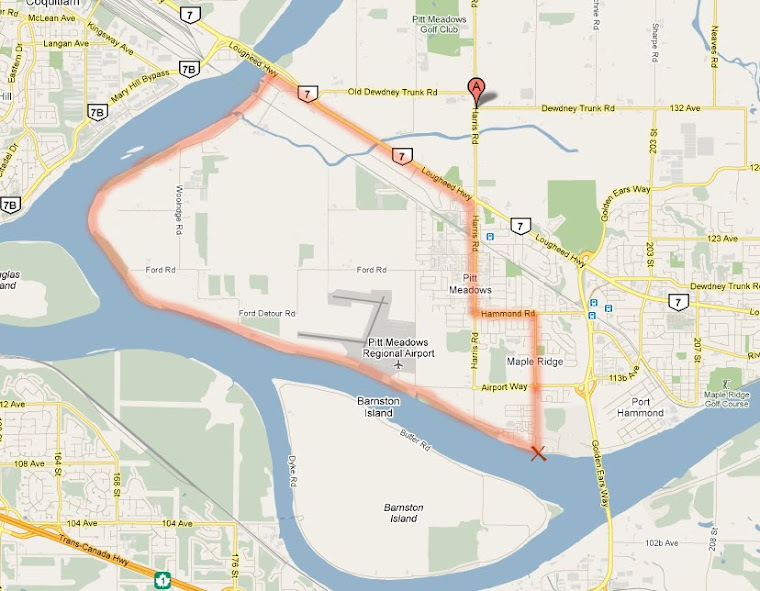 For me this was the second time to bike to and around Barnston Island. 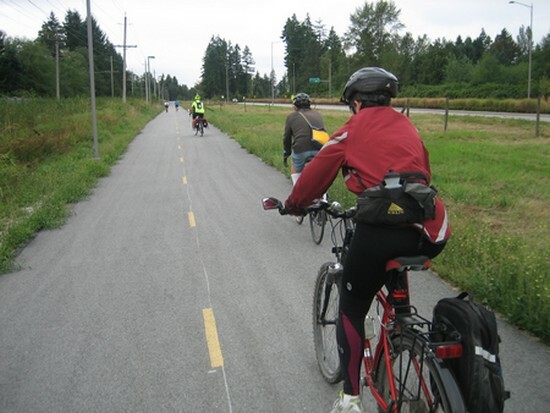 It's such a treat to be able to bike on the separated path along Golden Ears Way on the Surrey side, and then the trail through Tynehead Park. Then we took the pedestrian/cyclist bridge to cross Hwy. 1, at 168th Street. 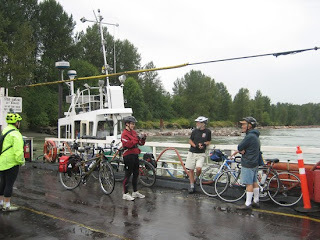 Turned right at 104 Ave., a nice stretch of downhill coasting (which means uphill on the way back of course....), and arrived at the cute Barnston Island ferry. The 10 km ride around the island is very pleasant. Hardly any cars. We stopped at the Robert Point rest area, which is actually a regional park. There was someone from Metro Vancouver doing a park user satisfaction survey. I wouldn't be surprised if we were the only ones filling out the survey during the four hours that he was supposed to sit there, poor guy! 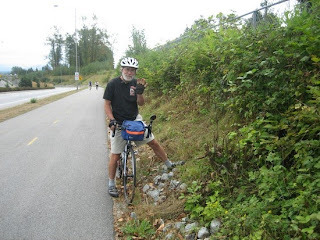 Update Oct. 15: Tracey just sent me the link to her great blog post about our ride with lots more pics.